Backyard Urban Garden (B.U.G. Farms) farms is located in Salt Lake County. B.U.G. Farm’s model is based on cultivating large, unused backyard plots in an urban setting to produce food for the Salt Lake City community. B.U.G. Farm’s customers live within 5-10 miles of the farms. B.U.G. farmers are experienced organic gardeners that have been gardening since 2010. The certification process can be burdensome and many organic farmers, like B.U.G opt not to certify. Carly Gillespie, Farmer and Co-owner, has been involved with B.U.G. Farms since its inception in 2010. 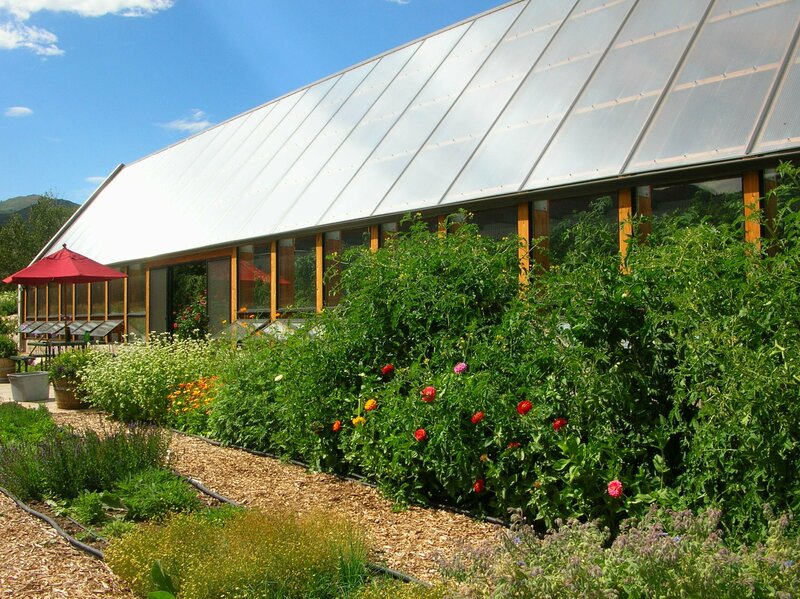 An experienced organic gardener, she has experience with gardens of all sizes, and even helped start the small, organic, Duckelberry Farm in Beaver Creek, Oregon. Carly currently serves on the board of directors of the Slow Food Utah. She also coordinated Wasatch Community Gardens’ educational workshops and community events, providing thousands of Salt Lake residents with the knowledge and skills to grow their own food organically since 2009. Coleman Riedesel, Farmer and Co-owner, born in Salt Lake City, UT, has been farming "off and on" since 2010. Inspired by his experience as an intern at Flying Cloud Farms in Fairview, NC, Coleman returned to Utah in 2011 to join Sharon Leopardi at B.U.G. Farms. He is delighted to be in the fields farming and even more excited to be the co-owner of the B.U.G. Farm since 2015. B.U.G. farms typically provides 100 CSA shares per season (spring, summer and fall). They offer home delivery as well as pick up locations in Salt Lake City. Shares include 5-12 vegetable and herb verities per week and come in re-usable bags. Additional fruit and egg add on options are also available. Depending on which option you choose expect to pay between $325-$600 for the season. They have a great You Pick Flower event as well as volunteer opportunities for those who are interested. Christiansen's Family Farm is located in Tooele County. They offer pasture raised, non GMO, no hormones, no antibiotic, all natural beef and pork. Although not certified their beef and pork are raised organically on their 20 acre farm. Christian has a degree in Agriculture and Hollie grew up on cattle, pig, and apple farm. Christian and Hollie have been farming as a family for the past 10 years. they offer pick-up locations in Springville, Lindon, South Jordan, Salt Lake City, Tooele, and Vernon. They also host an annual farm day for customers to enjoy. 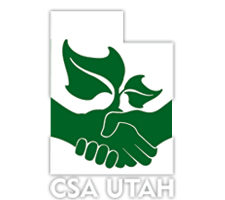 CSA shares are available every month of the year. Each share is 30 lbs. and comes bagged and boxed. Shares range from $135.00 to $220.00. Complete details can be found on their website. A la carte items can be added including maple kissed age breakfast sausage, Italian sausage, Chorizo sausage, ground beef, ground pork, four different kinds of bratwursts, beef marrow bones, beef soup bones, beef tallow, pork lard, and bacon. Copper Moose Farm is in its 10th year farming in Summit County! They grow on 3 acers and are assisted by their 2,400 square foot passive solar greenhouse and two hoop houses. They provide organically grown vegetables and cut flowers for the Park City community through their CSA and farm stand. Daisy Fair worked with Ranui Gardens in Utah for 3 years before starting Copper Moose Farm in 2006. Daisy has roots in organic agriculture as her mother owned and ran an organic apple orchard. She stated that Copper Moose only uses the best organic and biodynamic practices but are no longer certified. Copper Moose Farms offers 80 CSA shares per year. Their season runs from late May into October. The pick-up location is at their farm stand in Park City. Shareholders bring their own bags to the stand to receive their items market style. CSA Shares consist of vegetables and flowers. They also have egg, Red Bicycle Bread and Beehive Cheese add on options. Their half share will feed about 2 people per week, while their full share will feed 4 people per week. Prices range from $375.00 to $1,100.00 per season. They do offer a small number of work share spots. Copper Moose Farm provides a wide variety of crops from their fields and hoop houses. Even though they could freeze any month of the year they produce great tomatoes, cucumbers, basil, and beans from covered growing spaces. In addition to their CSA and farm stand they have an annual open house at the beginning of the season and regular U-pick crops once for peas, beans and cherry tomatoes. For more information visit Copper Moose Farms in the CSA Utah Directory! Bell Farm CSA, formerly Bell Organics, was certified organic from 2003 to 2015. Although no longer certified, they continue to grow their produce organically. David Bell has been organic farming in Salt Lake County for 18 years. He currently farms 2 locations that total 10 acers in the county. Pick up locations are in Salt Lake and Summit Counties (Salt Lake City, Millcreek, Sandy, Draper and Park City). Home delivery is also available. Bell Farm CSA offers 500 shares per year. Shares are available June through December. Contents are mostly vegetables with some herbs and fruits. Shareholders can expect 6-8 items per week in their bags. Prices range from $180 - $895 depending upon the options you choose. Visit their website for specifics. Field days are available upon request. Tagge’s Famous Fruit and Veggie Farm’s CSA is unique because they not only grow a variety of veggies, but also a wide variety of fruit which will make your CSA experience one to appreciate. 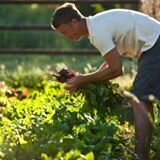 They are a first generation farming family and are very dedicated to providing a wonderful CSA experience. Tagge’s Famous Fruit and Veggie Farms has been farming for 19 years. They grow on 150 acres in Box Elder and Davis Counties, with orchards in Perry and Willard, corn in Corrinne, new certified organic raspberries in Huntsville as well as row crops. Thayne and Cari Tagge bought their first orchard from Paul Sumida in Perry, Utah. Paul helped Thayne learn to farm the first year. Since then Thayne has learned from other farmers and attends Ag Shows in California to be up to date with new trees and technology. Thayne was the first farmer in Brigham City to convert to drip irrigation. He has since has put in 9 drip irrigations for other farmers in their orchards. Tagge’s Famous Fruit and Veggie farms is the only farm in Utah that is certified organic on any of their fruit. Their 6 acres of Willard Bay Blackberries are certified organic and they just planted 8,000 raspberry plants in Huntsville that will be certified organic. Those will be producing in 3 more years. All of their row crops are planted with black plastic and are pesticide free. Tagge’s Famous Fruit and Veggie Farms has had up to 420 CSA members in a year. There is no limit to the shares they offer. They offer CSA Shares from July 5th to October 13th. Pick up locations are in Salt Lake, Bountiful, Farmington, Layton, Roy, Ogden, Brigham City, Logan, Lehi, Pleasant Grove, Orem, Provo, Spanish Fork, Magna, Sandy, Draper, Heber, and Park City!!! They offer home deliver for an additional $115.00 per share. Shares are either a Half Share (half bushel box) or a Full Share (full bushel box). Boxes are half fruit and half vegetables and contain a variety of vegetables, herbs, fruits, eggs, honey, dairy, and animal protein (meat). Add on items include eggs, honey, berries, salsa and jam. They also offer half bushels of peaches, beans, tomatoes, and apples throughout the season. Half shares are $345.00 and Full Shares are $670.00 for the season Add on’s are additional. From time to time work shares are available. Inquire directly with them to learn more. Shares come in boxes. Take the box and recycle every week by exchanging your empty box for a full one. In addition to farming, Thayne is on the board of the Brigham City Chamber of Commerce. He and Cari also work with Jordan School district doing workshops with the kids about eating healthy. Thayne has helped many new farmers learn how to get grants and how to set up their drip irrigation systems. 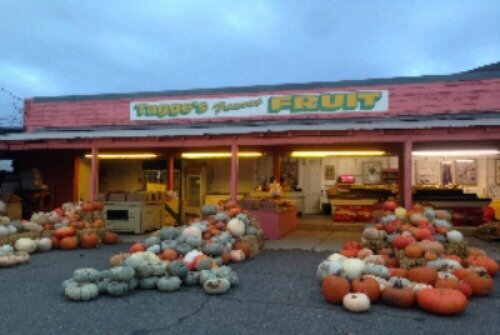 For more information about Tagge's Famous Fruit and Veggie Farms go here http://csautah.org/find-a-csa/tagge%E2%80%99s-famous-fruit.html.